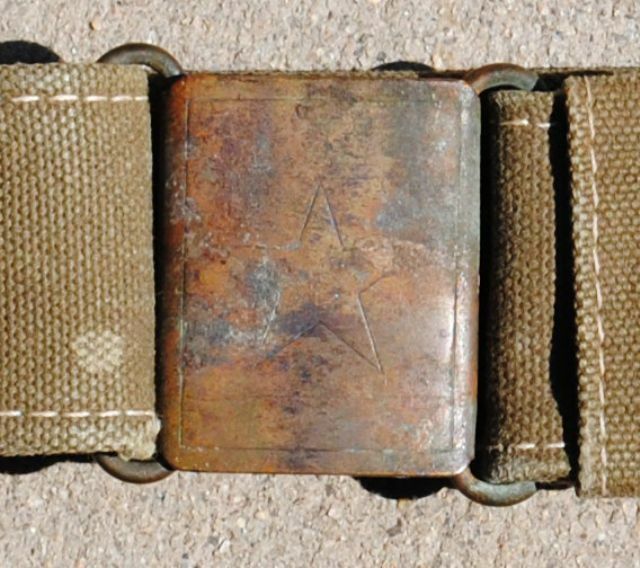 Wartime issued North Vietnamese Army belt and buckle set. 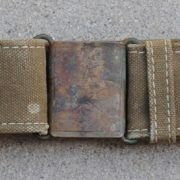 The canvas styled belt measures out with a 36 inch waist with aluminum grommets and shows some battle damage to the face. 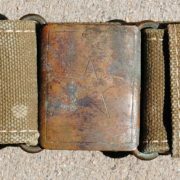 The brass buckle is tarnished but does have the five pointed star in the center.